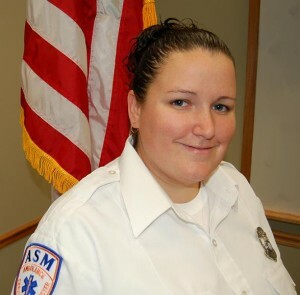 FARMINGTON — On October 21, 2013 a Paramedic Unit from Aetna Ambulance (David Noyes and Kelly Shapiro) responded to a sixty-two year old patient with a significant cardiac history, who had been having chest pain for an hour. They did a 12-lead ECG, which revealed a massive inferior infarction. They called in a STEMI Alert to the John Dempsey Hospital ED. Based on their radio patch, Dr. Sasha Gorenbeyn immediately activated the cath lab (16 minutes before patient arrival). The patient received a heparin bolus in the ED, and then went right up to the cath lab on the EMS stretcher. The patient was found to have a 100% occluded SVG (saphenous vein graft) to the PDA (posterior descending branch). He underwent a successful thrombectomy and stenting restoring perfusion. *Individually identifiable protected health information has been removed in accordance with Aetna’s HIPAA-related Privacy Policies. MANCHESTER — On October 26, 2013 Ambulance Service of Manchester Paramedic Rory Leslie and EMT Matt Tuttle set up an “Amb-boo-lance” near Pinewood Furniture as part of Downtown Manchester’s Halloween Happenings. Matt and Rory gave out treats to the trick-or-treaters making their way to each store and business taking part in the event on Main Street. It was estimated that around 1000 children took part. The following combines two letters sent to Aetna and ASM under separate cover. I wanted to thank you and Aetna Ambulance/Ambulance Service of Manchester for the assistance and hard work put in for the ING Hartford Marathon, which was held on October 12, 2013. As you know, Mike Bova, Matt Martinelli and Chris Bates were instrumental in the planning for, and the operations on, marathon day. The success of the medical plan was, in a large part, because of Aetna/ASM’s involvement from the beginning. Beth Shluger, the Executive Director of the Hartford Marathon Foundation stated that this was the best prepared race she has ever had. Aetna/ASM deserves a share of that compliment. Since the bombing of the Boston Marathon this Spring, we were intent that we would not be caught unprepared should a similar event happen here. Aetna/ASM’s commitment of resources and staff was greatly appreciated. Please pass along my thanks to all of the crew members who stood by and responded in East Hartford, South Windsor, and elsewhere along the course and in the command post. They worked hard and were a credit to Aetna/ASM. I look forward to the opportunity to work with Aetna/ASM on future projects. 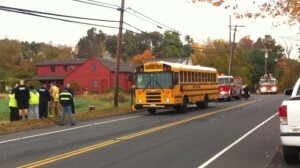 (Read the original WFSB article here) A crash involving a school bus was reported in East Hartford on Wednesday morning. Few details about the crash have been reported, but officials said the crash was reported along Forbes Street before 8:30 a.m.
Officials with the Ambulance Service of Manchester said it sent four ambulances to the scene, and brought eight people to local hospitals. ASM officials said six were brought to Connecticut Children’s Medical Center, one was brought to St. Francis Hospital and another to Manchester Memorial Hospital. All injuries were described as “minor”. No other information was released by officials. HARTFORD — Date unknown, likely early to mid 1950′s. 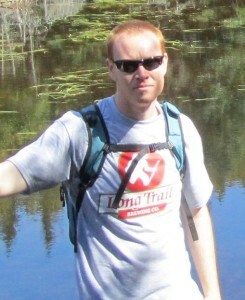 This is another photo where the location in Hartford is discernible from the background. Any guesses? MANCHESTER and HARTFORD — The specialty bariatric stretchers operated by Aetna and ASM have now been equipped with Stryker’s Expandable Patient Surface (or XPS) system. The XPS System consists of a new wider mattress and new side rails that fold out instead of down. 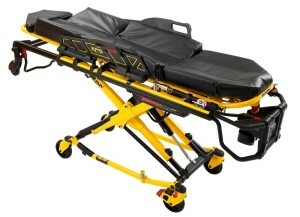 The side rails are not intended to support the patient primary body weight. Instead they are intended to enhance patient comfort. My team was wonderful in listening to my needs in helping them do their job as effectively as possible. I would like to thank each one for their service. (13-76135: C. Chasse, A. Wysocki). Excellent, kind, came to check on me with another call. I had passed out and was not fully cognizant of some of the questions that I did not answer definitively – Overall experience was satisfactory. Very efficient. Caring with everything. Mrs. Grady was really helpful and supportive, and provided me with photos and additional information about her family. She also referred me to Robert John Titus. 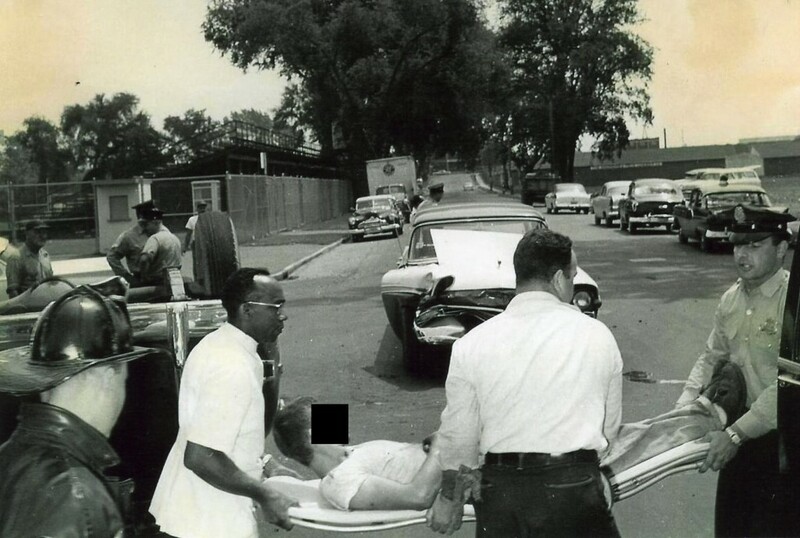 I was fascinated to learn how the Grady brothers, who received some basic medical training in the Navy, were inspired to begin a full time ambulance company following the Hartford Circus Fire. 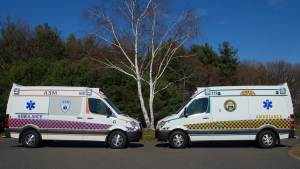 They saw a need for the service, and became only the second private ambulance company to serve Hartford. 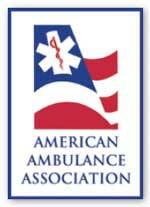 MANCHESTER — On October 14, 2013, four EMTs were added to the ASM team. As part of our continued growth ASM and Aetna seek out only the best candidates. We look for employees who are focused on high-quality patient care, are team oriented and conduct themselves in a professional manner. During the orientation, employees learn about company philosophy and goals, quality assurance, and policies and procedures. Kyle Baker: Full time, EMT. Hello my name Is Kyle Baker. I am 22 years old and live in Hebron, CT. I graduated in May of 2013 with a Bachelor’s Degree in Politics from Saint Anselm College in Manchester, NH. The second semester of my freshman year of college I took an EMT-Basic class and almost instantly I fell in love. I began working Saint Anselm College EMS, a student run volunteer EMS unit that serves the campus community, shortly after finishing my class. I also began volunteering with Andover Fire Department in Andover, Connecticut. I worked with Saint Anselm EMS until graduation and I continue to actively volunteer with Andover Fire Department. EMS has been my passion for the last four years and I am very fortunate to have the opportunity to turn it into a career. In my spare I enjoy listening to music, golfing and enjoying the outdoors. I am incredibly excited to begin my new adventure with the Ambulance Service of Manchester and I look forward to the new experiences I will have and the new people I will meet. Evan Burgess: Full Time, EMT. My name is Evan Burgess and I am 21 years old. I was born and raised in Manchester, CT and graduated Manchester High School in 2010. I attended the University of Connecticut for two years and then transferred to Liberty University in Lynchburg, VA to study Biblical Studies. Currently I am finishing my senior year of college online via Liberty University. I came home this year to finish school and get an EMT job. 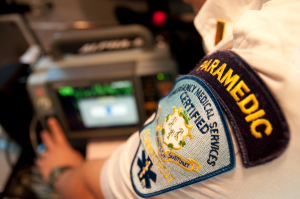 This summer I completed my EMT-B certification class at Hartford Hospital. I am very much involved in my church’s activities at Trinity Covenant Church and I enjoy ministering to people there. I love to play the guitar and I am a huge Philadelphia Eagles fan. My brother Colin worked for ASM for a couple years before he headed off to medical school, and he inspired me to become an EMT. I hope to gain experience working with patients and helping them and their families during tough situations. I hope to become a missionary someday, and the experience I gain and learn from this career will aid me in my future endeavors. I am very excited to begin working and learning how to care for people in need. Polina Yakushchenko: Full Time, EMT. My name is Polina Yakushchenko and I am 23 years old. I was born in the Ukraine and moved to the United States in 2000. I now live in Vernon, CT. I recently graduated with a Bachelor in Health Science from Saint Francis University in Pennsylvania. 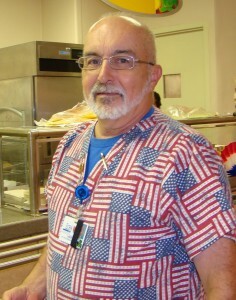 I have had some patient care experience in college working at the student health center along with the local hospitals. One day I hope to go to grad school and continue my education in the medical field. I love to travel and experience new places and cultures. I am very happy to begin working for ASM and I look forward to serving the community. The next four volumes will describe how Aetna and ASM match up to and use these results to succeed and thrive. 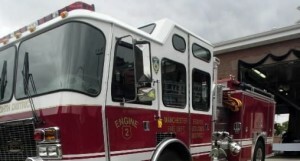 MANCHESTER — In a show of pride and a celebration of history, the Eighth Utilities District Manchester Fire Department will hold a parade Sunday. The 125th anniversary parade is scheduled to step off at 1 p.m. with lights flashing, sirens wailing, bagpipes and drums sounding and firefighters from throughout the region marching in full dress uniform. Among the 40 contingents slated to march, most represent fire departments, parade Chairman and Eight District firefighter Ryan Bilodeau said. Marchers will include first responders from the Manchester Police Department and Ambulance Service of Manchester, along with the Manchester Regional Police & Fire Pipe Band and the Patriot Guard Riders. MANCHESTER — On Thursday, October 10, 2013 a crew from the Ambulance Service of Manchester will appear at Crestfield Rehabilitation Center and Fenwood Manor, a skilled nursing facility in Manchester. The rehab center is holding its annual Wellness Fair and Apple Festival from 1:30 pm – 4:00 pm. Free Flu Shots, oral care, blood pressure, cholesterol and glucose screenings will be done on-site as well as muscle and nerve screens, balance testing, chair massage and more. 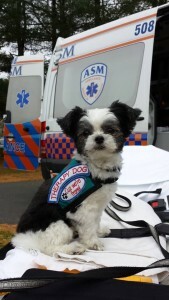 ASM’s crew will give ambulance tours and describe our services. 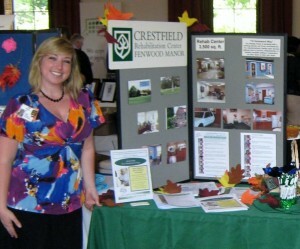 Crestfield is at 565 Vernon Street in Manchester. Contact Kelly at (860) 643-5151 with questions. “My mom had her first ride with your company yesterday on 10/1/13 from Hospital for Special Care by Stacy and Jon and I must commend them for being so professional. My mom has been through a lot and is a very anxious person and they took that into consideration and they explained everything they were doing to her which eased her anxiety tremendously. I explained to them that she had lots going on in her abdomen area so they were especially gentle with her. For tickets and to RSVP, contact Mike Makulis at (860) 250-9012 or email at mmakulis@cox.net. If you intend to buy your tickets at the door, please RSVP to Mike so that he can have an accurate head count.